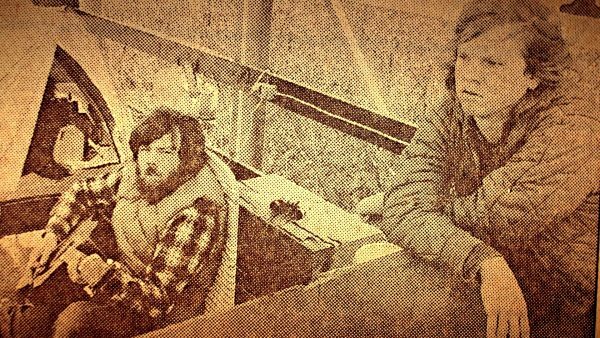 The year was 1982, and in the small city of Allentown on the eastern edge of Pennsylvania sat an AM radio station called WSAN. For years, it had broadcast country music to the surrounding Lehigh Valley — an area known for malls, manufacturing and Mack Trucks. WSAN was about to undergo a complete identity change, from a country station and to a “nostalgia” station — meaning Big Band, and soft hits from the 1950s. They wanted a gimmick to hook new listeners, so WSAN decided to launch a good old-fashioned endurance contest, reminiscent of the pole sitting stunts or dance marathons popular in the 1920s. They secured a local sponsor, Love Homes, to donate a prize: a single-wide modular home worth $18,000. For the contest, three people would ascend 30 feet up a ladder to a platform running under a WSAN billboard. Whoever stayed up the longest would walk away with the new home. They called it the “You’ll Love To Live With Us” contest. It seemed like a simple marketing strategy, but WSAN had grossly underestimated just how much people would endure for a little economic security. Dalton Young was one of the three contestants who would eventually be chosen by WSAN. He had just been discharged from the Army the month before and thought it sounded like a good way to spend his time. Dalton was actually so dead set on competing that he turned in a thousand entries. 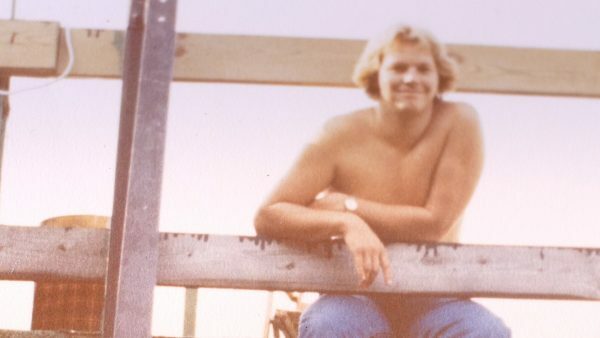 When Ron Kistler heard about the contest, he and his girlfriend Sue hand-delivered 4,004 entries directly to the WSAN station. “I thought was a quick and easy way to get a house,” Kistler explained when later asked about why he entered. The last of the contestants was Mike MacKay. He died in 2006, but back in the early 1980s, he was the only one of the three contestants who was married or employed. Still, even with his job, he couldn’t afford to buy a home. MacKay sent in an astronomical 47,000 entries to WSAN. 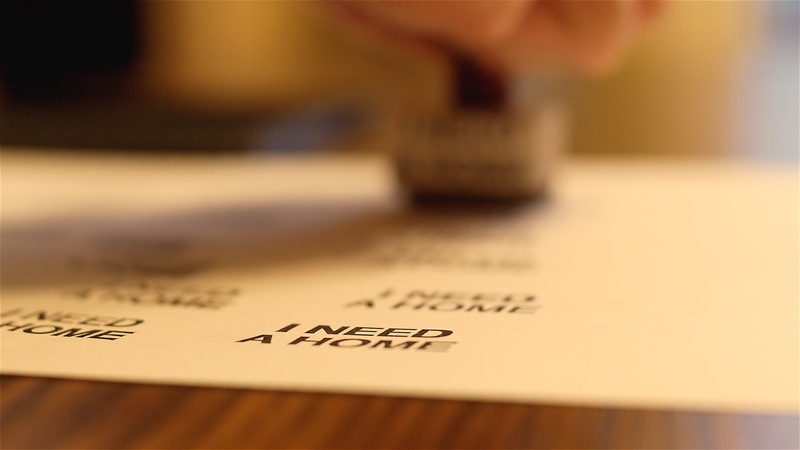 He used a rubber stamp with the phrase, “I need a home,” and then cut out and signed every piece of paper. He submitted so many times that the first 10 entries pulled by the selection team were his. Between the three of them, Dalton, Ron and Mike submitted 52,004 entries, which sounds like a lot until you consider that over half a million entries were submitted to the contest. Around the time the WSAN competition launched, the United States was slogging through the worst recession it had seen in over 40 years. 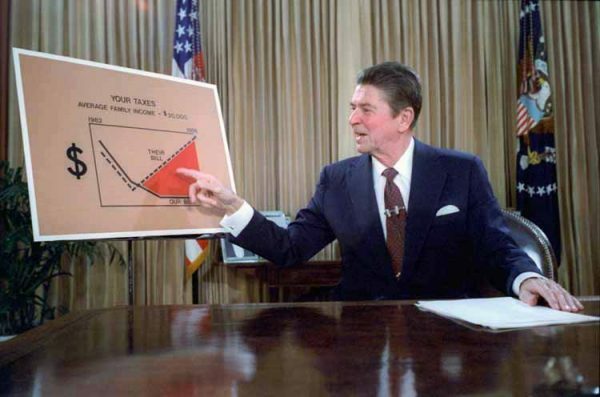 Officially, the recession began in 1981 when the Fed raised already-high interest rates even higher to combat rising inflation. Companies cut their spending and hundreds of steel facilities and manufacturing plants closed — including some in the Lehigh Valley. Places like Allentown, where WSAN was located, were hit particularly hard. The national unemployment rate was the highest it had been since the Great Depression, and interest rates skyrocketed to 20% in 1982. 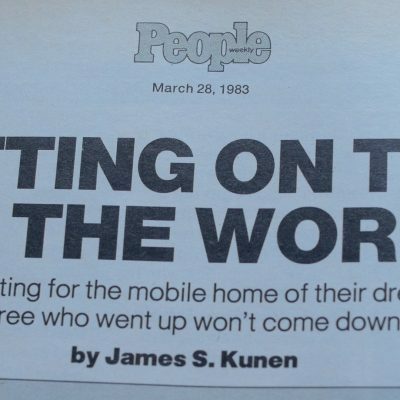 For blue collar workers who didn’t already own a house at this time it was incredibly tough to get a mortgage for one. 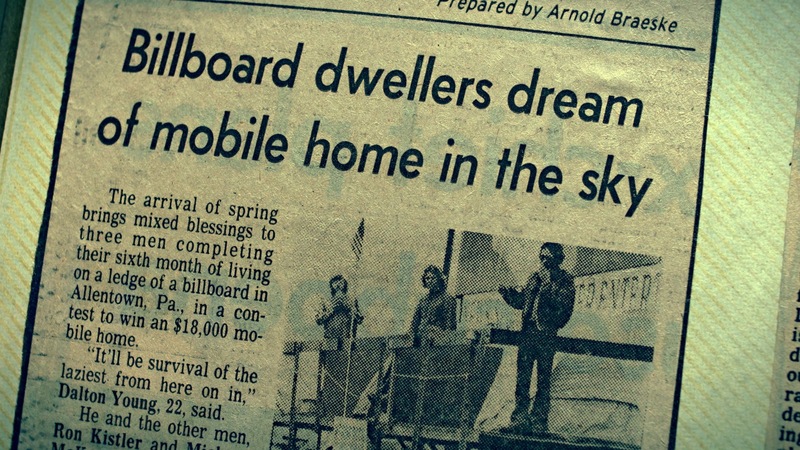 To many people, the idea of spending a little time on a billboard for the chance to win a home must have seemed like a pretty good deal. The contest officially started on September 20th, 1982. Dalton Young, Ron Kistler, and Mike MacKay ascended the billboard to begin their stay for what most people believed would be a month-long event. The accommodations up on the billboard were pretty barebones. 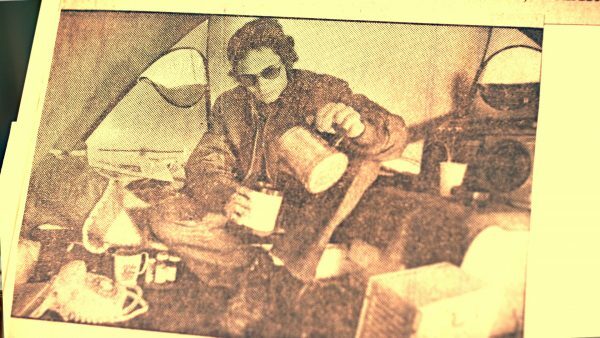 Each guy got a small tent, a chemical toilet, a telephone and a radio. 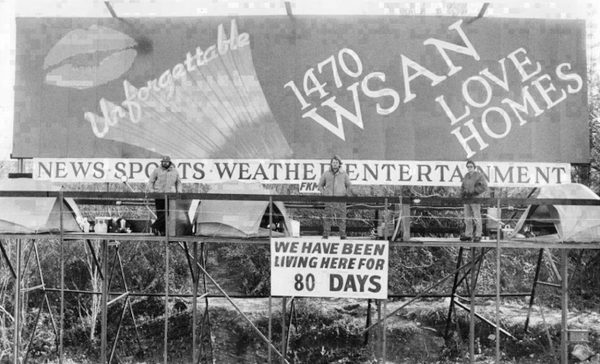 The billboard scaffold itself was about 8 by 48 feet, and it had been divided into three equal sections by waist-high partitions. The organizers at WSAN wanted the contest to last long enough to draw some attention, but not forever. They figured that by discouraging human interaction, they might keep the contest to a reasonable length. But even if the guys weren’t encouraged to interact with each other, they still had plenty of people to keep them company — from a distance. The contest required that they have their own support team to deliver food and to handle cleanup. Each contestant had a pulley system, so they could raise and lower supplies in buckets or trays. Sue visited Ron every day except for one while he was up on the billboard, and the contest arguably made their relationship stronger. “All we could do was talk. So we got to know each other a lot better in that time because we talked every day and on the phone or with me at the bottom of the billboard.” There was little room to do anything, and little to do. Every day the guys would wake up, listen to the radio, chat with any visitors, have supper and then go to bed. In November of 1982, Billy Joel coincidentally released a song about the very town where WSAN was based. “Allentown” painted a vivid portrait of the economic hardship working class families were going through at the time. 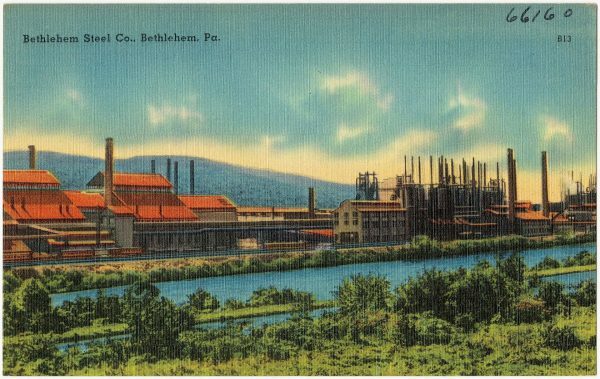 When Joel sang about the “factories closing,” he was talking about companies like Bethlehem Steel in the Lehigh Valley, which had closed down and thus eliminated nearly 10,000 jobs. 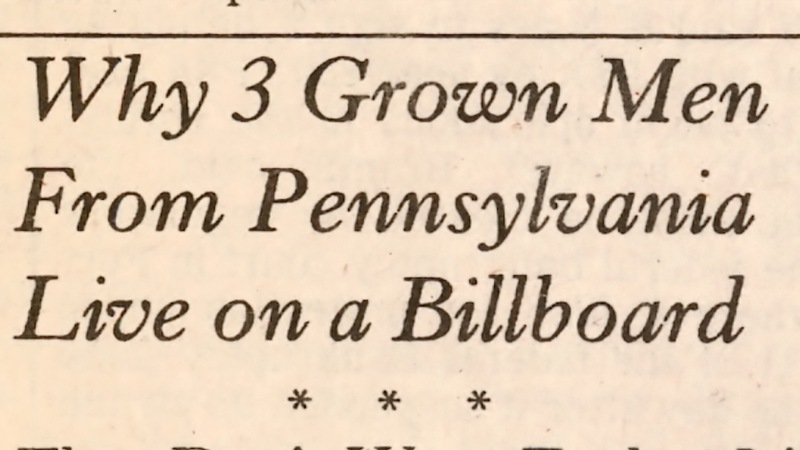 Because of the song, the city of Allentown became a kind of stand-in for all the suffering Rust Belt towns in the Northeast and Midwest. People started paying attention to Allentown — and the contest. Suddenly this little AM radio station, which only had a 50-mile range, was piquing a lot of interest. 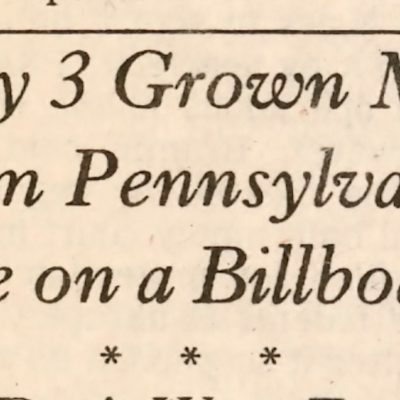 Because of that article, Dalton, Ron and Mike were fielding questions from People Magazine, Rolling Stone, and Phil Donahue about their extended stay on the billboard. Dalton even remembers getting calls from Japan, New Zealand, and France. 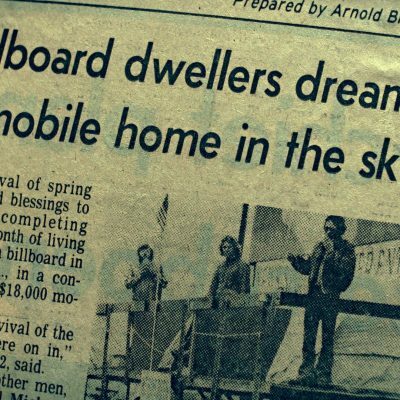 Then-president Ronald Reagan had referred to America as the “shining city upon a hill” — but life was so hard in that shining city that three men had confined themselves to a billboard for months — all for the chance to win a home. When winter arrived, it started getting colder up on the billboard. 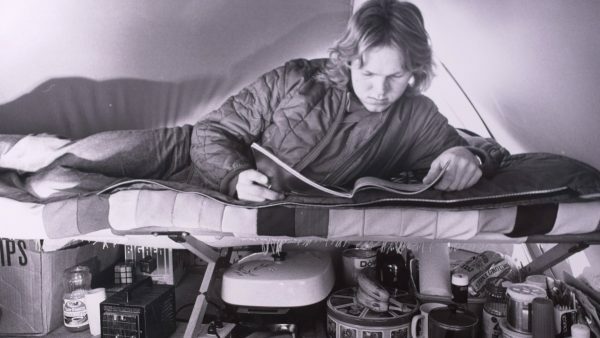 The lowest recorded temperature was zero degrees Fahrenheit, so the guys were given portable heaters to keep them safe. A huge snowstorm shut down the entire city, but it didn’t stop the contest. Dalton, Ron, and Mike all made it through the winter and lasted into the spring. At this point, they’d spent Thanksgiving, Christmas, New Year’s and Valentine’s Day away from their families. And still, nobody intended to come down. 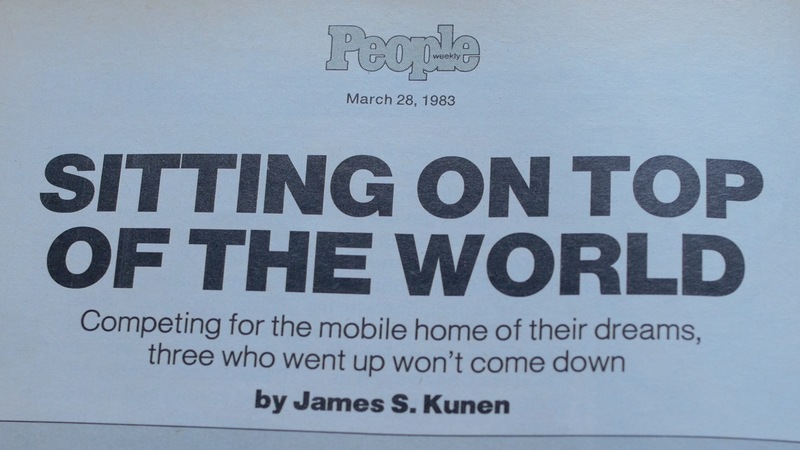 In March of 1983, after six months of basically nothing happening, the contest got a sudden jolt of excitement. A stranger that Dalton hadn’t seen before showed up. 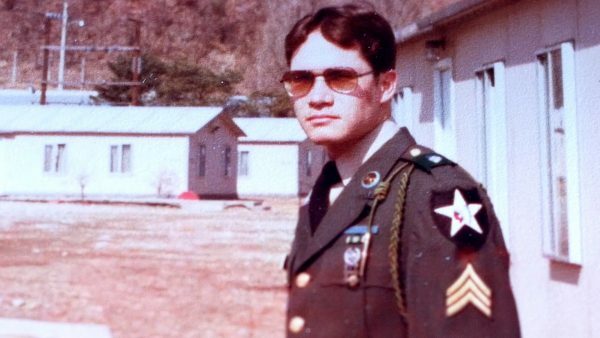 He casually struck up a conversation with Dalton, telling him that he was also a veteran. After talking and building up a bond, the stranger asked if Dalton could get him any marijuana. Happy to oblige, Dalton sent down two joints, and the stranger thanked him with a $20 bill. Although Dalton refused at first, the stranger insisted, so he kept the money. The next thing he knew, Dalton was taken off the board (literally and in terms of the contest) by two police officers. As it turned out, the stranger who had solicited pot from Dalton had been an undercover police officer. Because Dalton accepted that money, he was arrested on drug charges and knocked out of the competition on day 184. By this point, the competition had become a huge annoyance for town officials — the township commissioner even described the contest as a “hemorrhoid.” But Ron Kistler and Mike MacKay had dug their heels in deep. Neither would come down unless they were coming down to a new home. Ron and Mike lasted two months beyond Dalton’s drug bust before WSAN caved and realized that enough was enough. 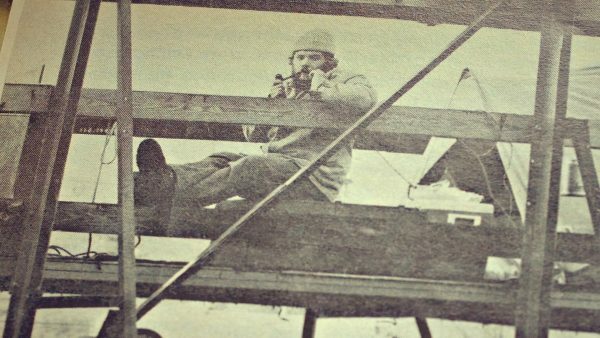 On June 7th, 1983, Ron and Mike both climbed down their ladders at the same time. They had been up on the billboard for 261 days. In the end, the contest sponsors upped the prizes, so each walked away with a modular home, a Chevy Chevette and a free vacation. The men went their separate ways post-contest. Mike tried to recreate the fame he’d had when he was up on the board. 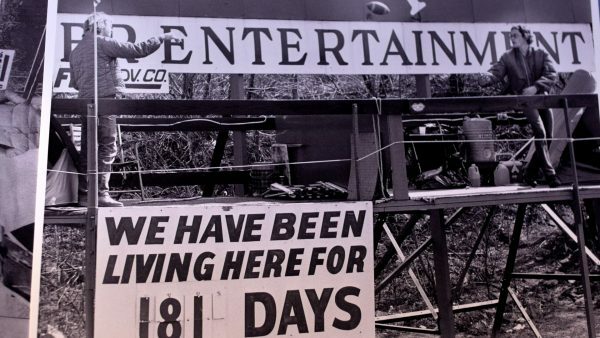 That never really panned out, but his obituary still referred to him by his preferred nickname: “Billboard Mike.” Dalton Young walked away with six months probation, a $100 dollar fine and a felony on his record. Ron Kistler probably got the closest to a happy ending. He and Sue married shortly after the contest ended. They lived happily in their two-bedroom modular home for 20 years, raised a daughter in it, and moved on with their lives. Producer Vivian Le adapted this story from the feature length documentary Billboard Boys directed by Pat Taggart and produced by Frank Petka. The filmmakers spoke with Ned Teter, DJ at WSAN; Dalton Young; Ron and Sue Kistler; Gene Werley, DJ at WSAN; Mike Krajsa, executive director of HGF Group, Betsy Morris, former writer at The Wall Street Journal. Images were provided by Pat Taggart and Frank Petka. Coda on Clean City Law by Kurt Kohlstedt. I’m curious about the apparent coincidence/contradiction that MacKay submitted about 10% of the entries but was selected in the first 10 drawings. That seems sufficiently unlikely as to call some detail of the selection into question. Can you clarify? Hi Andrew. 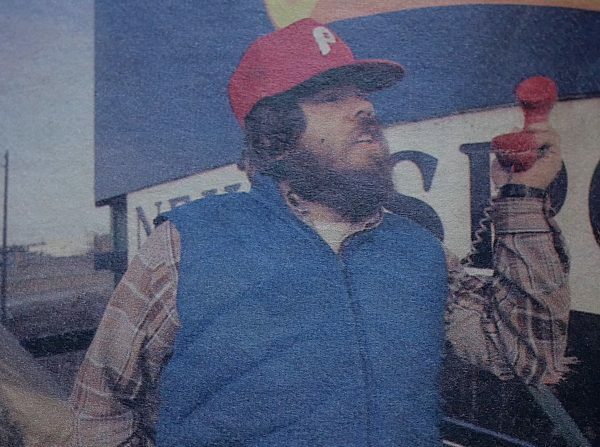 This is Pat Taggart, director of the documentary Billboard Boys from which this 99pi episode was adapted. Rolling Stone magazine reported that MacKay’s entries were pulled 10 consecutive times before a second contestant was chosen. It wasn’t disputed by those we interviewed, and unfortunately there is no video or audio of the drawing. All entries were dumped in a pile from several different bags, and we’ve always assumed that the police chief (who picked the winning tickets) was pulling from the same section of the pile at first, one heavily populated with MacKay’s entries. When he kept seeing MacKay’s name he finally wised up and drew from a different section. Hope that helps. I’ve seen the documentary twice and it’s not only an engaging story but very well documented and edited. One cannot help but be fascinated by the resiliency of these young men and the twists and turns this story takes. As they say in the film, it’s a real testament to the American spirit. This episode totally took me back to being a young girl living in Allentown. I remember this! What’s funny is that I remember thinking it was totally normal for men to be living on a billboard (I was only 6 years old at the time). Wow. Thanks for the trip down memory lane. Nice to hear and all Roman episode. But, at the same time it is a great contrast to the rest of the team—all of whom bring their own great style to their stories. In 1983 I wrote the song Billboard Blues which was played on the radio.The more I ask guestion’s no one seem’s to know anything.If you heard this song please e-mail me [email protected].